Among my childhood memories are my Ammamma (maternal grandmother) ordering chakka (strained yoghurt) by the kilo and then getting us grandchildren to churn it into the smooth paste it needs to become before it can be made into yummy Shrikhand! The attraction for us to help out was the chance to taste the work-in-progress. This time I made chakka at home and used a hand-blender, but the result was just as good. Tie the yoghurt in a fine cotton or muslin cloth. Place it tied yoghurt in a colander. Place the colander on a plate. Place a heavy weight on the tied yoghurt to help drain the water. I use a vessel filled with water, or a small mortar and pestle as the weight. For about 3-4 hours, leave the yoghurt to drain. Roughly crush the cardamom seeds. Soak the saffron strands in warm milk for about 30 mins. Using a hand-blender, blend the chakka into a smooth paste. Add the sugar, cardamom, saffron, and milk. Slice the pista into fine slivers. Sprinkle on top of the Shrikhand. Serve with rotis or better yet, with hot puris. Ensure your yoghurt is fresh and not sour in the least. In hot weather, I keep the weighted yoghurt in the refrigerator to make sure it stays fresh. 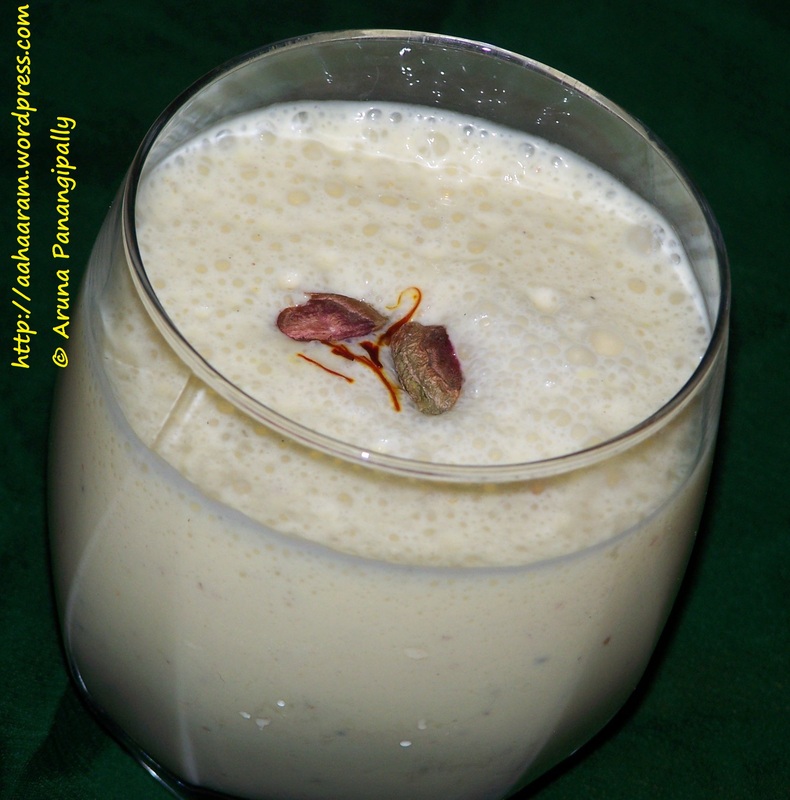 Do not “over blend” the chakka while making Shrikhand or that the chakka does not become hot. If you use a mixer instead of a hand blender, then blend a few seconds at a time so that the chakka does not become hot. This is my fav… looks great! Wow! I love shrikhand. Looks yummy! Will definitely try this. Just a doubt, how many servings of shrikhand, will 2 cups of yogurt make?